Can you tell me how you got involved in start-ups? I am originally Korean, but I spent most of my study/working life in the US and South-East Asia. When I was younger I was meeting entrepreneurs and travelling to many countries and I realized the potential for creating start-ups in different parts of the world. It became my job to establish companies and make sure they were operating properly. I started managing start-ups in Indonesia, the US, South-East Asia, Singapore, and Korea. I was mostly based in the IT sector, and my businesses focused on online games, telecom solutions, and downloading ringtones. I managed my first start-up when I was twenty-five years old and still in college, and it was an internet business that operated between Korea and the US. Eventually we sold it and moved on to other projects. It wasn’t an easy transition at the time. From my first start-up I learnt that communication is key. I was young and overconfident at the time and I failed to communicate effectively with clients and employees. I have since learned from my mistakes and put a lot of emphasis on communicating clearly within my team and the people we deal with. What are your current start-up businesses? Right now I am running an online fashion magazine and I have a company that is producing digital fashion content. I also manage a payment gateway which monetizes wordpress. My latest business is an online Hanwoo meat business, called Gogitgan which recently launched in April. Do you think Korea has a good environment for start-ups? The Korean government is currently trying to support start-ups by offering grants, but most of the support available is still mainly focused on games, Kpop, and entertainment. Angel investors in Korea are very few in number, and the largest investment funds in Seoul are tied to real estate, as real estate has a higher rate of return in South Korea. Unfortunately this means that people are less likely to invest in new start-ups when they believe they can a better monetary return from buying buildings. However, the manufacturing industry has diminished in Korea and start-ups are the emerging market, so hopefully more people will start to see the potential for investing in local Korean start-ups. From my perspective, I think that the US is still the best place for launching start-ups. There are more resources available and there are much more meet-ups and networking opportunities available. The culture for start-ups in the US is very systematic and well-organized, which I also found was the case for the start-up culture in Singapore. Do you think start-up culture is changing in Korea? I would like to be more positive, but I’m not so optimistic about the Korean economy at the moment. I think that seventy percent of the success of a start-up comes down to the effort of the people involved, and thirty percent is tied to the effect of government regulations. There are positive and negative points in every country for developing start-ups. In Korea, consumers follow trends very quickly. Korean customers learn very quickly about new brands, and this is a positive thing. However, in Korea, the competition is intense and bigger companies sometimes come in and attempt to sideline smaller companies when a trend gets bigger, so this can be a negative point. South Korea is also still a very isolated country in terms of ecommerce. Korean websites do not allow payment with foreign credit cards, so it is quite difficult for people outside Korea to access Korean products and businesses. China is already ahead of the curve on this front. Alipay can be used in different countries and Aliexpress is being used by a lot of people internationally. Korea started ecommerce much earlier than China, but Korea is still not able to sell things easily overseas. Some websites accept Paypal, but I feel this is an inefficient option. This needs to change. What made you decide to run an online beef business? When I visited countries like Spain and Japan in the past I noticed that buying meat was an experience and not just a transaction. There are a lot of speciality butcher shops in other countries which make people feel like buying meat is something special, but we don’t have anything like that in Korea yet, so I wanted to try and recreate a similar kind of experience for the Korean market with top tier meat and unique packaging. Of course, there were certain steps we had to go through the start the business. I have a friend who is the third generation in a family of Korean butchers. For me, it was very important to pursue a very high quality of meat, and my friend’s family only use the best grade of beef in Korea. You need a special license to sell meat in Korea, so we didn’t have a struggle to access that, but we had to ensure that we followed specific rules for packaging, dating the products, and guaranteeing sanitation standards. We did a lot of research before we started, and we thought carefully about how to reach our customers through Instagram and other online platforms. We’ve had a lot of support from social media influencers and this has helped us reach more people. Do you have any experience with cryptocurrencies? I’ve been following and reading about the development of Bitcoin since the early days of cryptocurrencies. Our meat business is still in its early days at the moment, but I’m interested in accepting Bitcoin as a payment option in the future. 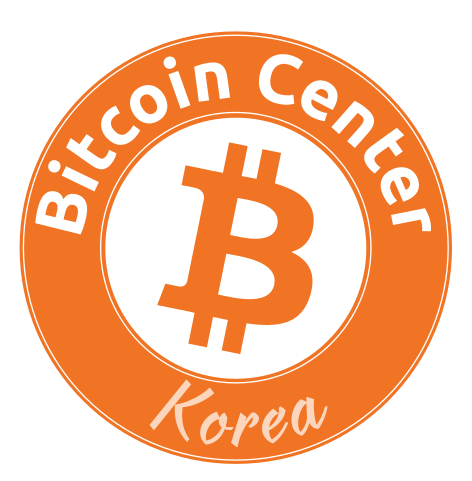 I think that Bitcoin can be a competitive currency in Korea, as a lot of people want to buy things without having it traced back to them directly, but while Bitcoin is expanding at the moment I still don’t think it will replace gold any time soon. It’s still a bit risky. The Korean government recently introduced a pilot plan to get rid of coins. Do you think it will be possible in the future for Korea to do away with all physical currency altogether and move on to digital currencies? Despite the fact that Korea is moving in the direction of a cashless society, the black market is huge and the cashless society, the block market is huge and the cash economy is much bigger than we realize. Cash won’t go away any time soon, but we’ll definitely have more options in the future as cryptocurrencies will be accepted in more places.